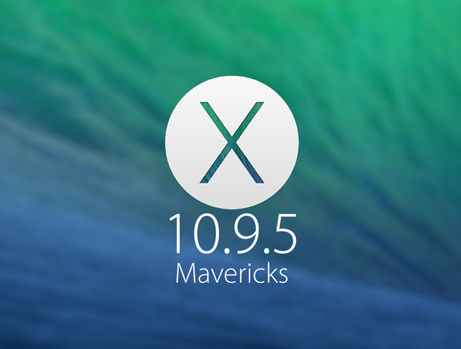 Apple has officially released full and final version of OS X Mavericks 10.9.5 (Build: 13F34) Update to all Mac desktop and laptop users running OS X Mavericks v10.9 operating system, after experimenting and testing six beta versions of OS X 10.9.5 Mavericks. Safari 7.0.6 web browser with the latest available Safari 7.1 Update is also included. Mac users can Download OS X Mavericks 10.9.5 (13F34) Final Setup / Update .DMG Files via Direct Links exclusively available for our readers and followers. The official Mac OS X Mavericks 10.9.5 (Build: 13F34) Update changelog contains; improvements for VPN connection, SMB server, security and bug fixes, addition of Safari 7.0.6 web browser with the inclusion of several new features and functionalities. OS X Mavericks 10.9.5 Final Build Version is available in twenty-nine multiple different languages including; English, German, Russian, Spanish, Italian, Dutch, French, Turkish, Japanese, Chinese, Portuguese, Ukrainian, Korean, Greek, Danish, Arabic, Catalan, , Croatian, Czech, Finnish, Hungarian, Malay, Norwegian, Polish, Romanian, Slovak, Swedish, Thai and Vietnamese. Mac users can upgrade / update old OS X Software / OS X Apps versions automatically via Mac App Store Menu > Software Update > Update tab. Mac users can also download all the latest available OS X 10.9 Mavericks updates officially via Mac App Store for Free. The official Direct Download Links of OS X Mavericks 10.9.5 (13F34) Delta / Combo Update .DMG File and OS X Mavericks 10.9.5 (13F34) Standalone Setup Installer .DMG File is available below for manual installation of OS X 10.9.5 via iTunes on multiple computers / laptops.